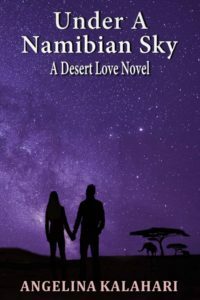 Love In Modena is the follow-up novella to the contemporary romance, Under A Namibian Sky. Naomi has found her prince, her Luca, her soul mate. In Modena, she also found her place in the world with him. But she can’t let go of Namibia so easily, not now she’s become the new owner of Desert Lodge. She feels her duty keenly to the people there who had given their loyalty to her family over many years. Luca, the heir apparent to the Armati supercar dynasty, perfectly understands Naomi’s dilemma. Their decision to split their time between the two countries and their responsibilities seems like the perfect solution. Theirs would be a lifestyle others can only dream of. But neither expected that their relationship would be tested to the limits by an unforeseen foe in their midst. Can the newlyweds survive the assault? Will it stretch their young relationship to its limits? Could it make them stronger, or break them apart? 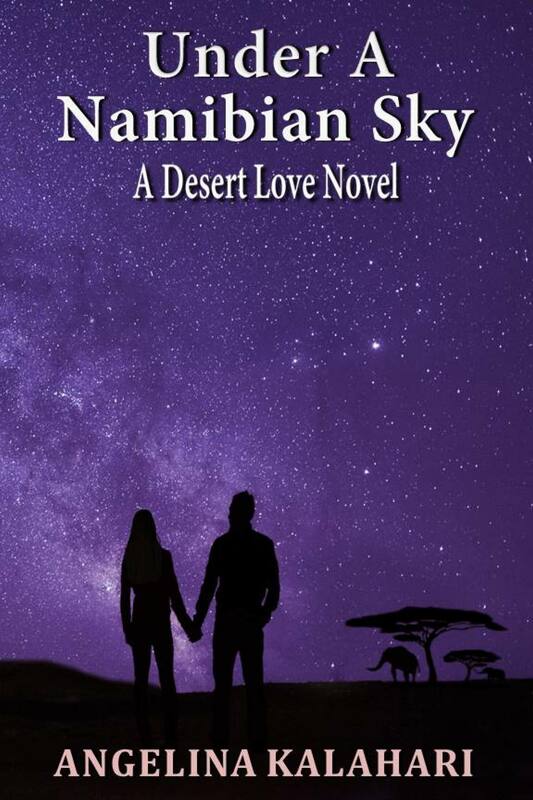 I have to admit that I was surprised and genuinely thrilled that so many readers enjoyed Under A Namibian Sky. Not long after the novel had been published, I started receiving emails to ask what happened to Luca and Naomi once they’d moved to Italy. Readers’ curiosity sparked my own, and I couldn’t help wondering how Luca and Naomi’s life in Modena was going, how Naomi was settling in there, or how being married would affect Luca’s lifestyle. As they’d got married rather quickly, perhaps it was a shock to those who had known Luca to be free and single. Love In Modena was born. I had a guide in my mind about what their life together might be like, that their love would grow stronger and that they would navigate life’s ups and downs buoyed by the strength of their love. Naomi remarked that the passion of love could make any of us crazy. But even I could not have predicted someone like Fia. She caught me by surprise as much as I hope she did you, dear reader. I don’t know if she pleaded insanity because she thought she might get off from being sentenced to a prison sentence, or whether she was genuinely insane. But I almost felt sorry for her. Almost, but not quite, and I’m very grateful that I’ve never had to deal with someone quite like her in my own life. Though, unfortunately, I’ve had a few similar experiences when I was still singing professionally. It was beyond scary. I’ve often wondered what drives people to these extreme types of stalking – I guess one can call it. Usually, elsewhere in their lives, such people seem just like you or me. That’s the scary part, don’t you think? Let me know if you’ve ever experienced something like it. I’d be very interested to know. You can reach me directly at angelina@angelinakalahri.com. I read every email and I love interacting with readers. Under A Namibian Sky is now available on Amazon. Or from here for £8.75 with free delivery in the UK only. £3.99 postage for orders worldwide. 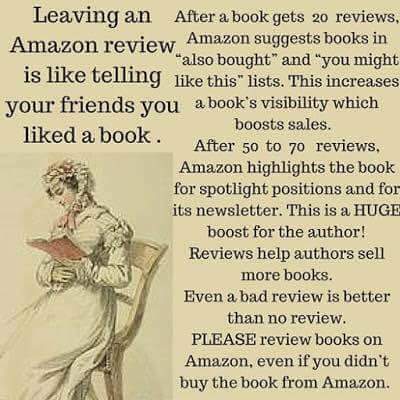 If you liked reading the stories in this series, I’d be delighted if you’d be so kind as to post a review on Amazon telling me what you thought. Reviews are really important. Not only do they tell other potential readers what to expect from a novel, but they also allow the novel to live in the world. It means I’ll be able to continue to write more stories for you. You can connect with me directly at angelina@angelinakalahari.com. I read and endeavour to respond to every email. Hello, everyone! Welcome to the launch of Under A Namibian Sky. Thank you so much for joining me today. I’m excited to introduce Under A Namibian Sky to you. I know this bit usually goes at the end, but I’d like to thank all the amazing people who have helped Under A Namibian Sky to become a satisfying novel for readers. It takes teamwork. So, to my amazing editor, Christine, thank you so much. You asked all the difficult questions that made me dig deeper. Thank you to my great beta readers for the amazing job you guys have done. Writing can be a lonely process and a scary one once you give your baby to someone else to read for the first time. Thank you for giving your honest feedback and notes in a kind and encouraging manner. It means the world. So, what is Under A Namibian Sky about? It’s essentially a contemporary romance. It’s the story of Luca and Naomi and it’s set in Namibia. Briefly, Naomi’s parents died when she was five. After being shunted from foster parents to foster parents, she was understandably traumatised, to say the least. No one had really taken the time to explain to her that her parents had died and no one had seemed to realise that she needed to grieve. As a result, she’d locked up her emotions and carried a deep and abiding fear of loving anyone else in case she’d again lose them to death. But her grandmother’s best friend, Auntie Elsa, eventually adopted Naomi. She went to live with her and her husband, Uncle Wouter, at Desert Lodge. The lodge bordered on the Namib Desert and when she was old enough, Naomi was allowed to play with the San tribe’s children there. They taught her about the desert, about what plants were safe to eat and where to find water. This led to her working as a desert guide at the lodge when she became old enough. Luca, on the other hand, comes from a very privileged background – the Armati supercar dynasty in Italy. He is the heir apparent. But Luca has other hobbies that he’s passionate about. One of which is photographing and painting elephants. His secretary, Santina, who has taken care of him since he was a child when his mother left them, arranged a holiday in Namibia so that he could fulfil his dream and take a break from work at the same time. Luca immediately recognises how different Naomi is from the models he usually hangs out with. But she assumes he is just another one of the rich ‘princes’ who makes everyone’s lives hell for as long as they’re on holiday at the lodge. I don’t want to give too much away but I will say this – Under A Namibian Sky has many twists and turns. A sneak peek is when Luca and Naomi come in contact with a tiny newborn elephant. They help to rescue her when her mother is killed by poachers. Namibia holds a special place in my heart because it is where I was born. The setting is perfect for romance, danger, spirituality and love. The original cover was designed by the multi-talented Sharon Brownlie. Covers are really important because they’re “the picture that paints a thousand words,” as the lyrics of one of my favourite Bread songs says. Or in the case of a novel, thousands of words! I saw one of Sharon’s pre-made covers with a couple that looked exactly like Luca and Naomi. I couldn’t believe it. Usually, it’s impossible to get a picture that looks exactly like the couple in your head. But there they were. Luca, as he appeared to me, is tall, athletic and although aristocratic, has a somewhat devil-may-care boyishness about him. A kind of Richard Branson vibe, if you like. Naomi, also tall and athletic, is independent and strong and I feel the figure on the cover depicts her somewhat stubborn streak perfectly. Neither Sharon nor I imagined Luca and Naomi to be in silhouette, to begin with, but realised that the night sky would have no light source to show them in any other way. The picture of the sky that Sharon used, is an actual picture of the night sky over the Namib Desert. The fact that it has a purple tint, is a hint of the spirituality behind the fact that Luca and Naomi are soul mates. In the distance, you can see the mother and the baby elephant that played such a big part in their relationship. Because Naomi had reluctantly allowed Luca to accompany her on the ellie’s rescue mission, he then invited her out for dinner. Perhaps without that initial dinner, who knows if they’d ever got together? Again, I’d like to thank everyone who helped choose the elements for the perfect cover. Unfortunately, this cover didn’t translate well into the paperback version and I felt a new cover was needed. Stepping into the fray was my lovely niece, Mia Troost, a very talented artist, currently in her second year at University, studying for a BA degree in Graphic Design. Mia’s brief, like Sharon’s, was for a romantic cover with a sky that takes your breath away, somewhere in the Namibian Desert, lovers, a tree or two, and elephants in the background. Though I adore Sharon’s cover, I love Mia’s cover, too and I’m deeply grateful to her for stepping in at such short notice because I wanted the new cover to be available at the same time as the follow-up novella, Love In Modena, was launched. I feel Mia more than delivered. Beautiful, vivacious, independent young Naomi grew up on the edge of the Namib Desert. After she becomes a safari guide, nothing is more exciting than showing off her desert’s fierceness, its raw beauty, and its exotic wildlife to guests staying at Desert Lodge. Luca, the heir apparent to the Armati supercar dynasty, is blessed with the beauty of an Italian god and born to a life of wealth, power, and influence. In Namibia for a short holiday, he wants to fulfil his dream of photographing and painting African elephants. Used to the wiles of such spoiled princelings, Naomi is suspicious of his motives. Begrudgingly, she feels drawn to his kindness, charm and aura. Impossibly, it appears he is equally drawn to the girl from the African desert. But will the pain of their past experiences prevent them from being courageous enough to admit their soulmate connection? Will their love overcome the challenges they face when Luca ends up in hospital after a dangerous anti-poacher raid, and Naomi has to confront her fears about falling in love with him? 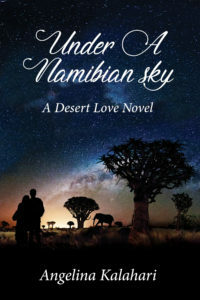 Compulsively readable, Under A Namibian Sky is an emotionally riveting romance that will enchant, fascinate and delight. As I don’t want to spoil it for you, I’ll talk only about Luca and Naomi. I may post something on another day about some of the other characters. Writing her, Naomi made me feel compassion and fury almost in equal amounts. I was sad for her that she was so traumatised as a little girl by the loss of her parents and by being moved from foster home to foster home. She was unloved and felt like a failure when she couldn’t make her new families love her. She was too young to understand death and what was happening to her. But her deep-seated fear that everyone she loved would die, stopped her from loving others when it’s so clear that it’s what she craved. When she developed feelings for Luca, she talked herself out of those. I couldn’t believe that she would be prepared to give up such a love for fear that death would take her from him. But she was stubborn! It would take another traumatic event in her life to let her see the light at last. Luca, on the other hand, having been abandoned by his mother when he was eight, regarded women with a healthy dose of suspicion. What made it worse, was that the beautiful models who he was used to having in his life, were mostly after his money and fame. But he realised pretty early on, that Naomi was nothing like them. He saw her strength, her independence, her vulnerability and her genuineness. But when he overheard her saying something to her friend that he was rich and could have any woman he wants, he freaked out. It was a phrase he’d heard too many times. It took a very distressing situation for him to realise that he loved Naomi and couldn’t imagine being without her. These characters never stopped talking. I had no choice but to write them down! As I’d already mentioned, Namibia is very special to me. It’s the country of my birth and although I haven’t been there for many years, I know it’s the kind of unspoilt place – for the most part – that doesn’t change. It feels good to know that something can be that constant, especially in this crazy fast-paced world we live in, right? Desert Lodge is based on a real lodge near the desert. The people and the place will always live in my heart, no matter where in the world I find myself. Like Naomi, I was lucky enough to have had children from the San tribes to play with when I was a little girl. They taught me about the desert. About which plants were poisonous, which were good to eat, how to find water, which insects were a good source of protein, and which to avoid if you wanted to keep your eyes! So, these are the things I share with Naomi. The Namib Desert is vast. It’s silent. It’s unearthly beautiful. Parts of it has featured in Hollywood movies, and parts of it have become a source of joy for people seeking action-adventure holidays. It is this aspect that Desert Lodge eventually adopts as well. But until then, they offer only sunrise and sunset safaris with desert guides in a truck or the odd walking safari with one of the anti-poacher guards employed to keep the wildlife safe. Here is a short video that shows how San hunter/gatherers find water in the desert. 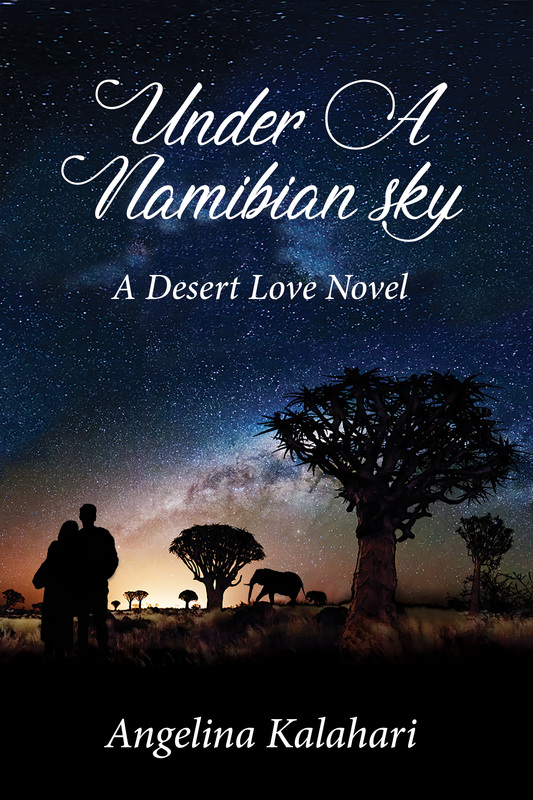 Under A Namibian Sky is a romance novel and one I hope you’ll all enjoy reading. The funny things is, I never thought of myself as a romance writer. My staple go-to genres have always been science-fiction, fantasy, psychological thrillers and horror. Those genres, of course, sometimes include romance as well. Yet, whenever I sit down to write something, romance is what comes out. It puzzled me until I analysed it and the truth dawned on me. At the other end of the spectrum is the fact that human beings and human relationships are complex. Stories are a safe way to explore those complexities and can even help us to deal with our own issues. There are many other reasons why romance novels are important, but the fact that it can also be a form of entertainment is not to be sneezed at. When a reader with a demanding job, or a mum who is pulled in many different directions, read a romance novel, it’s a great way to just relax, have fun and escape from the daily grind. And yet, the romance genre is the biggest selling genre in the book world. Why? Why do we read them? I’d be very interested to hear your thoughts about why romance novels are important to you? WHY UNDER A NAMIBIAN SKY? The programme looked at how difficult it is to write a good romance novel. How so many people have tried and failed. The programme followed the journey of a traditionally published mystery writer going through the process of writing a romance novel. She went on away days with other romance writers, writer’s circles and writer’s workshops led by successful Mills and Boon authors at great settings. They filmed her at home making notes on her white board, writing, re-writing, getting frustrated and re-writing. Eventually, she handed in the manuscript to Mills and Boons offices here in London. I never learned what happened to her novel. But having read a number of romance novels through the years, I wondered if I could write one. I went on their website to learn more about what they’re looking for and discovered that they were actively looking for novels set in Southern Africa. Well, I was born in Namibia and while I’ve lived all over the world, the country of my birth will always live in my heart. There is a saying that once you have felt the Namibian sands beneath your feet, your feet will always walk you back to those sands. It’s a rough translation, but I think you get the gist. I’ll add to it that once you have Africa in your heart, she is a jealous mistress and will hold you to her bosom – you can never escape her arms. So, it was a no-brainer for me to set my novel in Namibia. I know the place like the back of my hand. It’s one of the few places on earth where things don’t change, yet a desert is a place of ever-changing sameness. The sky over the desert, once you’ve seen it, will live in your heart and mind forever – it is breath-taking, yes, but more than that, it’s a most humbling experience. Its vastness reminds that we are a tiny part of something so big, we cannot comprehend it. The people are warm and friendly, and the animals are a reminder that the world offers more than concrete jungles and the rat race so many of us are only too familiar with. There is a deep peace, a unique calm that a place like Namibia offer, that you can’t find anywhere else on earth. To cut a long story short, I wrote the required three chapters and submitted them along with a synopsis. 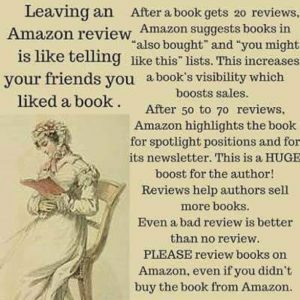 A few weeks later, I received a long email from them, stating their interest in the novel and asking for specific changes. It was obvious from their email that they’d read the synopsis and the chapters. I felt encouraged and set about making the changes they’d asked for before running it past some of my beta readers. But after I’d re-submitted it, a few weeks later, I received a short email thanking me for my efforts but rejecting the novel. But rejection is a normal part of a writer’s life so it didn’t phase me. By now, though, the characters lived in my head. They were talking to me, as characters are wont to do and they wouldn’t go away. There were other projects I wanted to work on but these guys wouldn’t let up. I had no choice but to finish the novel. Luckily, the publishing world has changed so much now that Mills and Boon aren’t the only romance genre publishers. That’s how Under A Namibian Sky came to live in the world today. 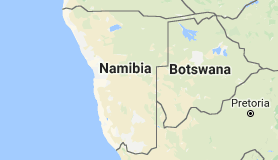 Namibia is a very large country – Namibia is more than a third larger than the UK and Germany combined or twice the size of California. It has rich deposits of diamonds, uranium and other minerals that are already being extracted extensively. There are 11 main ethnic groups living there. What is a desert? 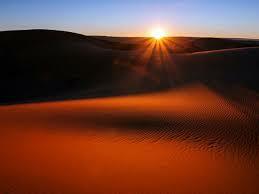 To most people, it is a hot, dry area with little or no vegetation and often covered in sand dunes. Even though this may be an adequate definition of a desert, hot and dry are not specific enough to be scientifically accepted. Scientists use the measurement of rain, or rather the lack of it, to define deserts because water is the critical factor which controls all life and biological processes. 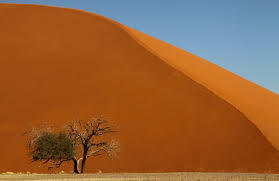 According to such classification of deserts, the Namib is hyper-arid as it has a mean rainfall of less than 100mm per year. It is amazing that the Namib is a desert at all since north of it, Angola is subtropical and south, the Cape of Good Hope has copious winter rainfall. But the unique high-pressure zones and the cold ocean currents that border it has created the Namib Desert. We know that the Namib Desert is old and could have been semi-arid to arid for about the last 80million years with true desert conditions predominating the last 15 – 20 million years. Fairy circles – there is a peculiar unexplained phenomenon along the edge of the Namib desert commonly known as fairy circles. Unusually named they occur on sandy planes and on vegetated dune slopes. 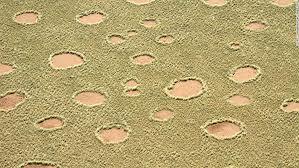 Scientists suggest that the fairy circles may, in fact, be termites which have eaten all the grass seeds in the vicinity of their nests. Thank you so much for joining me today. I trust you enjoyed the launch of Under A Namibian Sky as much as I have. I’m currently writing a novella in the Desert Love Series telling of Luca and Naomi’s life in Italy. 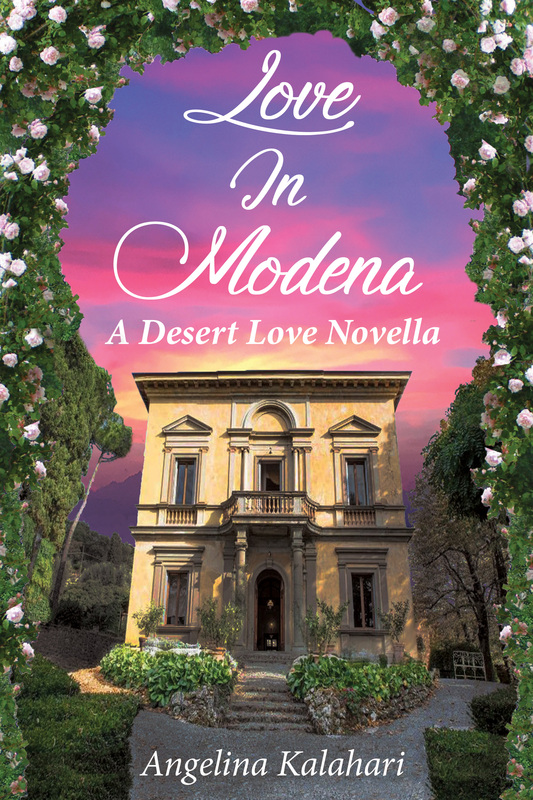 It’s called Love In Modena, and you will receive a free copy when you sign up to my email list when it is finished. I’d be very interested to know what kind of stories you would like me to write? Let me know what kind of characters you’d like, what obstacles and what setting – I’d love to hear from you! Thank you again so much for spending time with me. Angelina Kalahari on What does loving yourself actually look like? 脱毛サロン on What does loving yourself actually look like?